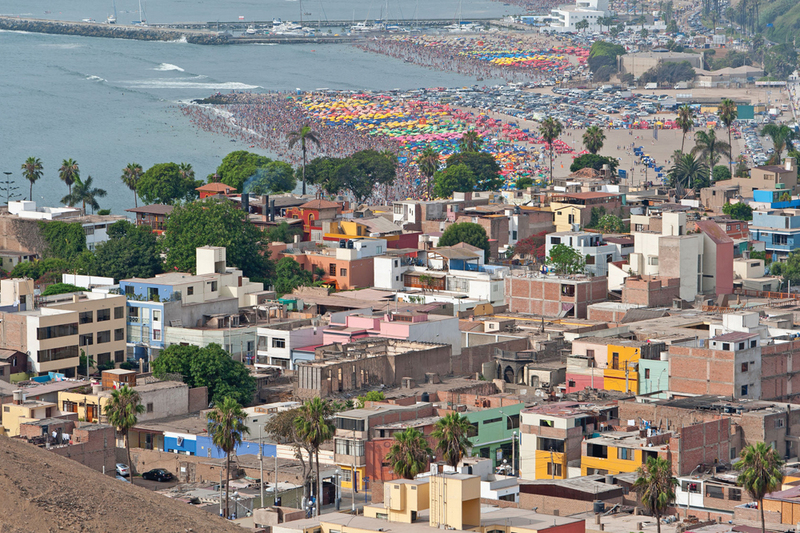 Water samples were taken from homes in Lima, Peru, as part of a pilot study on testing methods for E. coli levels in household drinking water. Regional disparities in safe water access continue to exist around the world. 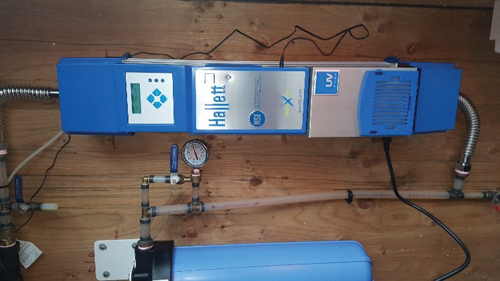 To expand access to safe drinking water, it is important to monitor water quality. United Nations Sustainable Development Goal 6 sets a target to achieve universal and equitable access to safe and affordable drinking water for all by 2030. Achieving global progress toward this target requires water quality monitoring with flexible testing methodologies that are suitable for specific locations and settings, especially in low-resource, rural areas. These methodologies also must combine various data sources as capacity and resource availability increase. Large-scale household surveys offer an opportunity for microbial water quality monitoring. For the first time, microbial water quality monitoring was included in a subset of the 2011 Peruvian Demographic and Health Survey (DHS). In this pilot study, the Aquagenx compartment bag test (CBT) was used in the field to detect and quantify E. coli in household drinking water. The objective of the study was to evaluate the performance of the CBT in the field and document the potential for its use in microbial water quality monitoring within DHS field data collection. From March to June 2011, three regions of Peru were surveyed, including Lima on the Pacific coast, Junín in the Andes Mountains, and Loreto in the Amazon rainforest. These regions covered a variety of geographic terrain and were chosen to test the robustness of CBT use in the field. Trained DHS field surveyors collected three 100-mL water samples from each home participating in the study. One sample was analyzed in the field using the CBT. The other two samples were transported to a reference laboratory, where one sample was analyzed with the CBT and another with membrane filtration. The survey team reviews testing results. Within each region and across regions, no statistically significant differences in E. coli concentrations were detected between field and laboratory CBT most probable number (MPN) results, or when comparing the CBT’s MPN results to membrane filtration results across 665 triplicate household drinking water samples. A team member collects water for testing. These outcomes demonstrate the CBT is an effective method to quantify E.coli in household drinking water and can be successfully incorporated into large-scale household surveys. The CBT overcomes many challenges of microbial water quality monitoring in low-resource settings. Its simplicity and convenience allow for ease of use in the field. Because surveyors in Peru were able to test on site with the CBT, microbial water quality results were returned to households the next day. Knowing these results empowered households to understand and take action to protect the safety of their drinking water. 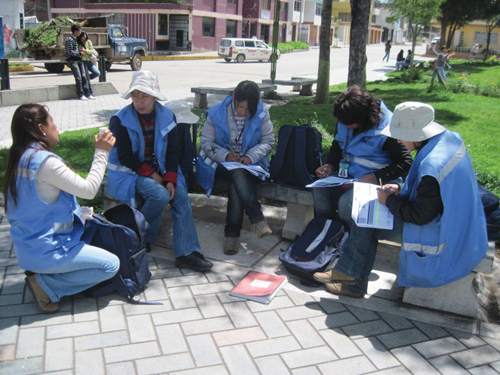 The successful incorporation of the CBT within the Peruvian DHS establishes the feasibility of incorporating it within other national household water quality surveys to better document access to safe drinking water. With simple and reliable tests such as the CBT for monitoring microbial water quality, understanding the progress toward achieving targets for safe water in the Sustainable Development Goals is much closer. Alice Wang is co-founder and scientific advisor for Aquagenx LLC. Wang can be reached at [email protected].